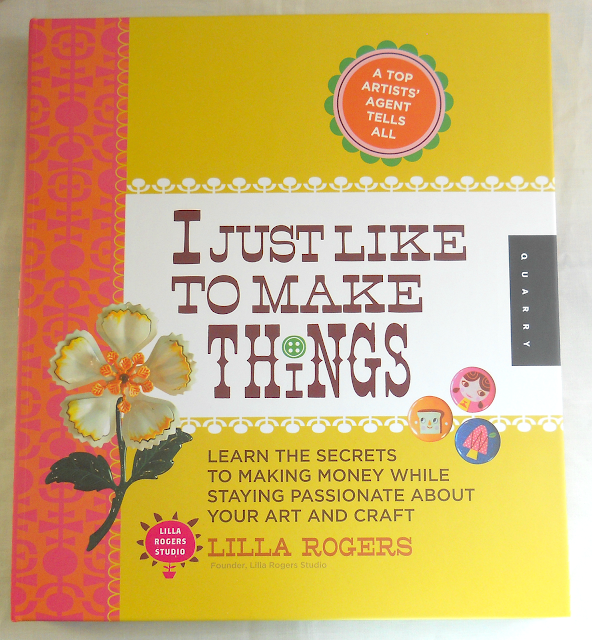 For Christmas, I received the book I Just Like To Make Things Learn The Secrets To Making Money While Staying Passionate About Your Art And Craft by Lilla Rogers. Its was a book that was on my Christmas (wish) list from the first moment I saw it advertise in a magazine. So needless to say, I was super de duper excited when I found it under the tree. After reading the book from cover to cover, I thought it would be fun to write a review. To beginning with, I wanted to talk a little bit about Lilla Rogers. Rogers is the founder of Lilla Rogers Studio which is illustration agency that represents artists. Rogers (herself) works as an illustration agent. 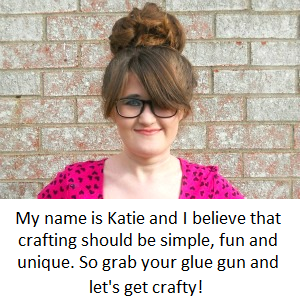 She has also been a teacher and an illustrator. Her work as been featured in magazines, in advertisements, been used for greeting cards and so much more. I could really go on and on about her background but the point I'm making is that she know her creative stuff. If you're interested, you can read more about Lilla Rogers and her background here. I Just Like To Make Things is a book about how to become a successful artist while still loving your craft and keeping your sanity. The book is divided into five chapters that cover topics like how to hone in on your creative passion, how to stay inspired, the secrets to success, dealing with psychological stuff, understanding different markets and setting goals. The first thing that I love about this book, is that it's spiral-bound. Meaning that you can flip and turn the pages really easy. Also within each chapter are exercises/activities to complete. 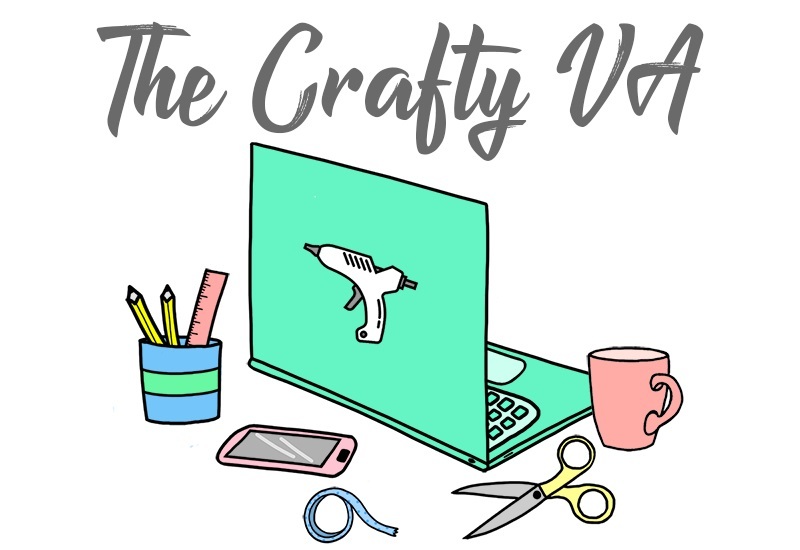 Theses exercises help get your creative juices flowing and help you understand more about yourself and your craft. For example some of the exercises focus on creativity (like drawing) where other exercises are writing prompts. 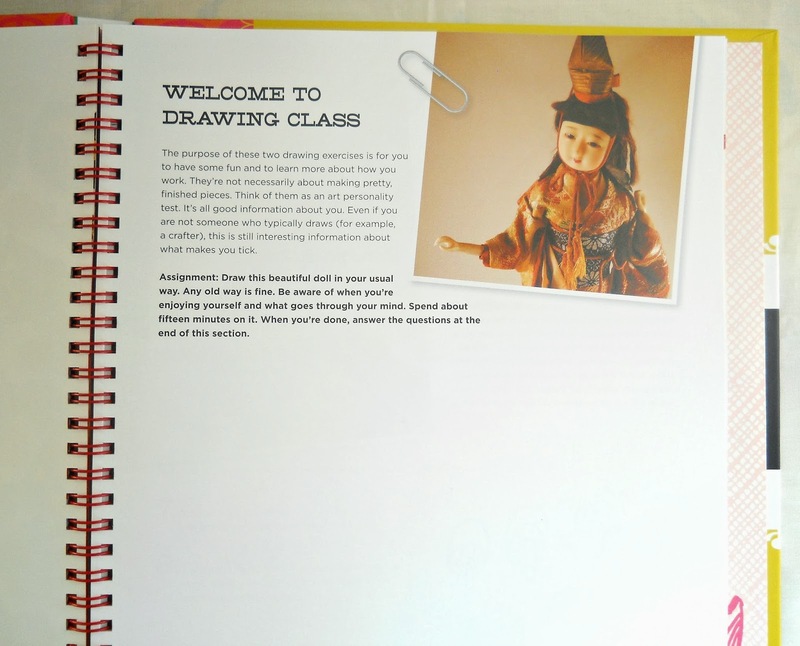 Throughout the whole book there are places to write, draw, doodle and even staple. Rogers also does a fantastic job when explaining the differences between the needs and wants of different creative markets. 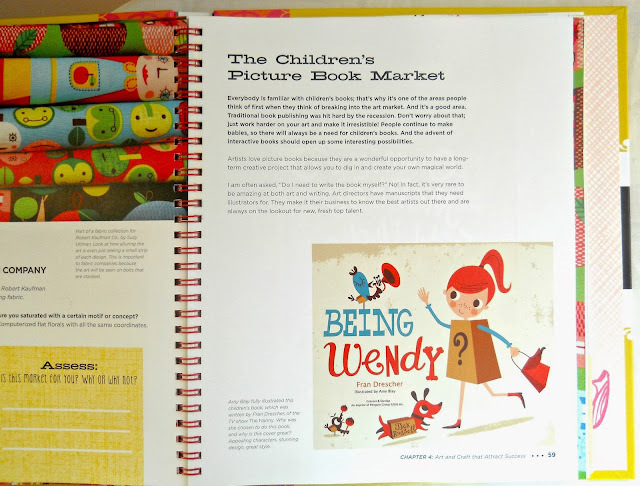 For example in the book she writes about the fabric market, the home decor market, the paper good market and even the children's picture book market. Personally, this was my favorite part of the book because there were also interviews with real life artists who had become successful in these different fields. Besides the artist interviews, there were also interviews with big name companies. These companies talked about what they looked for when searching for new artwork/artists and gave their own personally advice. The book is really over flowing with advice from Rogers herself, the artist she interviews and even the big name companies. 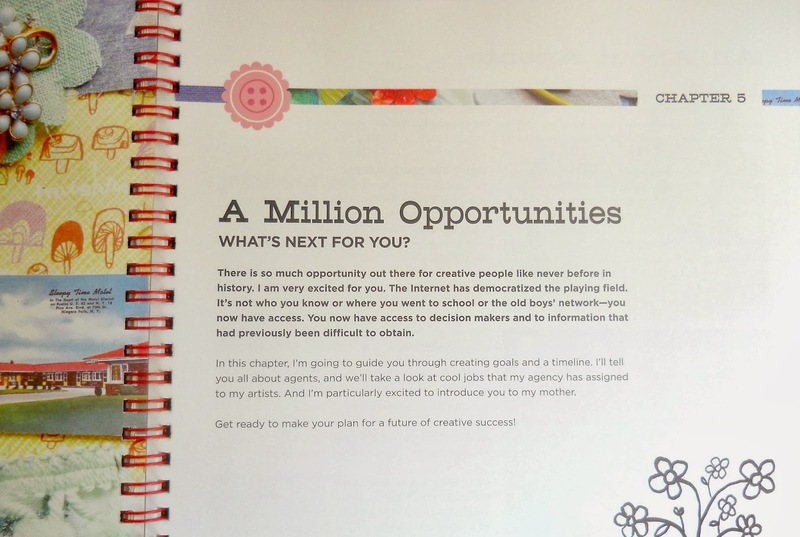 I feel this book would be great for a beginning artist who is trying to learn more about the creative industry. I also feel like this book would really be great for any illustrator or graphic designer. The only problem that I had and some others might have with the book, is the exercises. Now the exercises themselves are great the problem is some of the exercises ask you to cut things out. If you were to cut these things out, then you would be cutting out the information on the next page. I assume that some of these exercise are supposed to be scanned on a computer, printed out then played with. I just think that some people would find this whole process a little frustrating. Personally, any exercise that I did in the book I did in my sketch book. That way I could come back and redo that exercise again in the future. Overall, I really enjoyed this book. It was a fun and easy book to read that provided several pieces of useful information (regarding many aspects of being an artist). 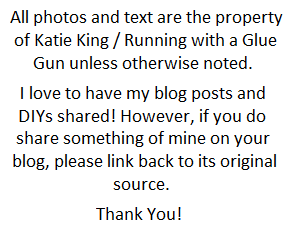 Above is video that I found on Lilla Rogers's website. In the video she is being interviewed about the book and talks little bit about her creative background. If you want to learn more about I Just Like To Make Things or Lilla Rogers you can check out her blog here.